Luxurious superbly appointed 4 * Hotel in Wexford, located on its own private grounds, just a short stroll from Gorey Town. Just minutes from sandy beaches and top class golf courses. The Ashdown Park Hotel boasts 80 beautifully appointed guest rooms, each tastefully designed and offering the highest level of comfort. Our award winning “Rowan Tree Restaurant” offers a unique dining experience. Our “Ivy Bar” has top class food and regular live entertainment. Our Ashdown Club has state of the Art facilities including 18m Pool. Dolce beauty spa now open. Whether its business or pleasure the award winning team will cater for your every need. 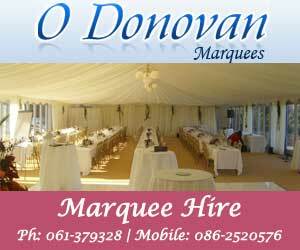 Choosing the right venue for your wedding celebrations is a very important one. 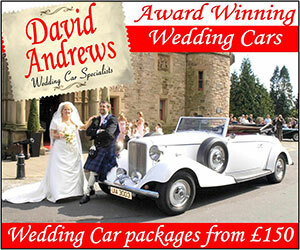 Why not come along and see for yourself what's on offer at The Ashdown Park Hotel. From the moment you first meet with a member of our highly trained Management Team every consideration is made to ensure your day is uniquely designed to match your dream. Attention to every detail ensures a lifetime of memories. In the months before the big day experienced staff are on hand to assist you and ensure that nothing is overlooked when it comes to putting together the perfect wedding. The Ashdown Park Hotel is one of the leading luxury wedding venues in the South east, located on the Wicklow / Wexford border and only 40 minutes from Dublin. On your red carpet arrival into our spacious lobby, relax in the ambience of our sweeping staircase which is overlooked by our glistening crystal chandelier. Our Toastmaster will ensure that your guests are upstanding to greet your arrival into our main Leinster Suite as Husband and Wife. Relax and unwind in your togetherness, in the intimacy of our Benedict Suite. From the moment you book your wedding with the Ashdown Park Hotel, the management and staff ensure that you receive superior service and top class efficiency from start to finish.